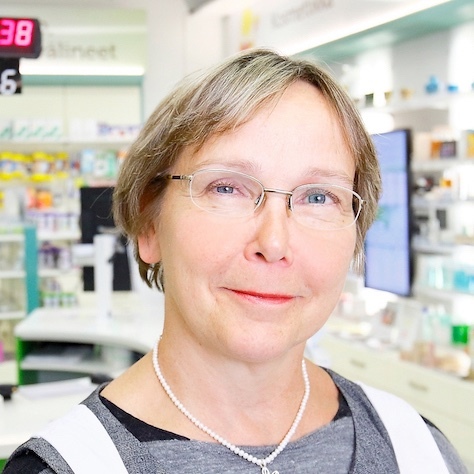 Eeva Teräsalmi is a Finnish community pharmacist and pharmacy owner. During her career she has been working in the Continuing education centre for pharmacists in Finland and in the Association of Finnish Pharmacies before she became a community pharmacy owner. She has her master degree in pharmacy from Helsinki University and she holds also a..